Â Â I've been looking for oak chairs to replace my old broken kitchen chairs for our open concept kitchen/family room. I was delighted when I found these beautiful chairs. I have some big men in my family that are comfortable and well supported in these chairs. Â Â I was pleasantly surprised at the quality and design of these chairs. Very solid with absolutely no wobbling, excellent value. A very good buy and packed well. Â Â They are elegant without overstatement and are very stress-free. A great find and a better buy cannot be found. The color was perfect, beautiful fabric, and quality is superb. Â Â I bought these chairs for my college son who is in his first apartment. He loves them and says that they remind him of the furniture we have at home. Arrived timely and in good condition. Very easy to assemble, sits comfortably, and is stable. Â Â My husband and I decided to do a little sprucing up because our daughter was getting married and we knew we would be having guests. Found them online and I was pleasantly surprised by the high quality of the craftsmanship of the chairs. You always take a chance when ordering furniture online. So, I lean heavily on reviews. I'm so pleased I took the chance! I've had dinner guests twice since this purchase and all have commented on the comfort of them. Bassett Mirror chairs are great quality, the wood finish is smooth, and the cushions are firm and perfectly fit in my dining room. Thanks for a great product. I loved the color and stability of Nelson Collection chairs once they were put together. They are sturdy and comfortable and match our table just great. 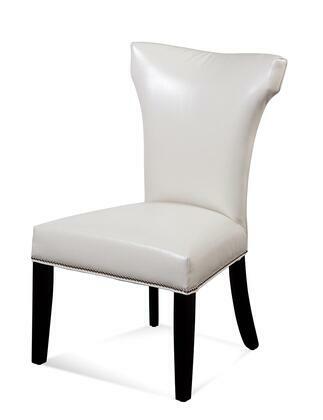 Love these Nelson chairs from Bassett Mirror. Heavy duty and great quality. Have had these chairs for over 6 months and still love them. Â Â I am going to order another two chairs and change the layout of my kitchen. The seat of them is solid wood and heavy. They look fantastic in our kitchen.